The recent development of effective immune checkpoint inhibition (ICI), first demonstrated in melanoma, has revolutionized cancer treatment. Monoclonal antibodies blocking the immune checkpoints cytotoxic T lymphocyte-associated antigen 4 (CTLA-4) and programmed death 1 receptor (PD-1) have shown substantial clinical benefit in a subset of patients across tumor types and in both the metastatic and adjuvant settings. In this article, we review the interaction between the immune system and solid tumors, and describe modes of immune response failure and the physiologic role of immune checkpoints. We also review the known mechanisms of immune checkpoint inhibitors, focusing on US FDA-approved agents targeting CTLA-4 and PD-1. Within this framework, we classify hypothesized tumor intrinsic and extrinsic predictive markers for response and resistance to ICI, and map them to their putative underlying biological mechanism. Finally, we outline future directions in ICI, including the development of new therapeutic targets, rational combination therapies, integrated predictive models for individual patients to optimize therapy, and expansion into different disease types. The authors acknowledge support from the Damon Runyon Cancer Foundation Physician Scientist Training Grant (DL), ASCO Young Investigator Award (DL, RWJ), and Society for Immunotherapy of Cancer—Bristol-Meyers Squibb Postdoctoral Cancer Immunotherapy Translational Fellowship (DL), National Cancer Institute (Grant no. U54 CA224086) (RJS). David Liu declares he has no conflicts of interest that might be relevant to the content of this manuscript. Russell W. Jenkins has ownership interest in pending US Patent Application No. 15/540,346. Ryan J. Sullivan declares institutional funding from BMS, Merck, Novartis, Amgen, Immunocore, BiomedValley Discoveries, Lilly, Pfizer, Viralytics, Adaptimmune, Takeda, Tesaro, Genentech, Array Biopharma, Astex, Alglea, Asana, Sanofi, Infinity, Syndax, and Moderna; advisory board/consulting from Merck, Amgen, Array Biopharma, Syndax, Compugen, Genentech, and Novartis; and research funding from Amgen and Merck. A study of RO7198457 (Personalized Cancer Vaccine [PCV]) as a single agent and in combination with atezolizumab in participants with locally advanced or metastatic tumors. ClinicalTrials.gov. https://clinicaltrials.gov/ct2/show/NCT03289962. Accessed 31 Aug 2018. Safety, tolerability, and immunogenicity of mRNA-4157 alone in subjects with resected solid tumors and in combination with pembrolizumab in subjects with unresectable solid tumors. ClinicalTrials.gov. https://clinicaltrials.gov/ct2/show/NCT03313778. Accessed 31 Aug 2018. Intratumoral CAVATAK (CVA21) and ipilimumab in patients with advanced melanoma (VLA-013 MITCI). ClinicalTrials.gov. https://clinicaltrials.gov/ct2/show/NCT02307149. Accessed 31 Aug 2018. MAGE A10c796T for Advanced NSCLC. ClinicalTrials.gov. https://clinicaltrials.gov/ct2/show/NCT02592577. Accessed 31 Aug 2018. Dose Escalation Study of mRNA 2416 for intratumoral injection to patients with advanced malignancies. ClinicalTrials.gov. https://clinicaltrials.gov/ct2/show/NCT03323398. Accessed 31 Aug 2018. JTX-2011 Alone and in combination with anti-PD-1 or anti-CTLA-4 in subjects with advanced and/or refractory solid tumors. ClinicalTrials.gov. https://clinicaltrials.gov/ct2/show/NCT02904226. Accessed 31 Aug 2018. A phase 1 study of TSR-022, an anti-TIM-3 monoclonal antibody, in patients with advanced solid tumors. ClinicalTrials.gov. https://clinicaltrials.gov/ct2/show/NCT02817633. Accessed 31 Aug 2018. Sym023 (Anti-TIM-3) in patients with advanced solid tumor malignancies or lymphomas. ClinicalTrials.gov. https://clinicaltrials.gov/ct2/show/NCT03489343. Accessed 31 Aug 2018. Abbreviated MAPK targeted therapy plus pembrolizumab in melanoma. ClinicalTrials.gov. https://clinicaltrials.gov/ct2/show/NCT03149029. Accessed 31 Aug 2018. A study of the anti-PD1 antibody PDR001, in combination with dabrafenib and trametinib in advanced melanoma. ClinicalTrials.gov. https://clinicaltrials.gov/ct2/show/NCT02967692. Accessed 31 Aug 2018. A study of atezolizumab plus cobimetinib and vemurafenib versus placebo plus cobimetinib and vemurafenib in previously untreated BRAFv600 mutation-positive patients with metastatic or unresectable locally advanced melanoma. ClinicalTrials.gov. https://clinicaltrials.gov/ct2/show/NCT02908672. Accessed 31 Aug 2018. 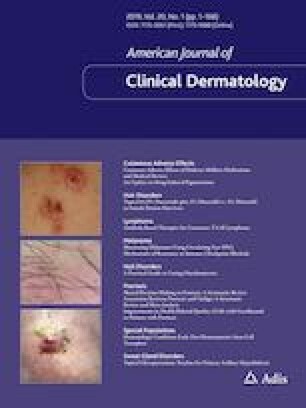 A study of the safety and efficacy of pembrolizumab (MK-3475) in combination with trametinib and dabrafenib in participants with advanced melanoma (MK-3475-022/KEYNOTE-022). ClinicalTrials.gov. https://clinicaltrials.gov/ct2/show/NCT02130466. Accessed 31 Aug 2018. A study of ARRY-382 in combination with pembrolizumab for the treatment of patients with advanced solid tumors. ClinicalTrials.gov. https://clinicaltrials.gov/ct2/show/NCT02880371. Accessed 31 Aug 2018. A study of ALX148 in patients with advanced solid tumors and lymphoma. ClinicalTrials.gov. https://clinicaltrials.gov/ct2/show/NCT03013218. Accessed 31 Aug 2018. A study of galunisertib (LY2157299) in combination with nivolumab in advanced refractory solid tumors and in recurrent or refractory NSCLC, or hepatocellular carcinoma. ClinicalTrials.gov. https://clinicaltrials.gov/ct2/show/NCT02423343. Accessed 31 Aug 2018.